First published in 1936, the classic work Roots of Brazil by Sergio Buarque de Holanda presented an analysis of why and how a European culture flourished in a large tropical environment that was totally foreign to its traditions, and the manner and consequences of this development. In The Other Roots, Pedro Meira Monteiro contends that Roots of Brazil is an essential work for understanding Brazil and the current impasses of politics in Latin America. 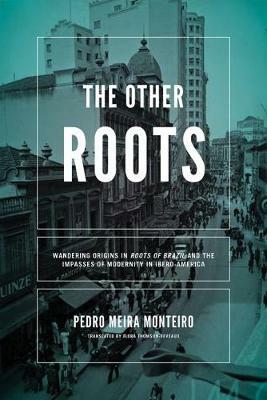 Meira Monteiro demonstrates that the ideas expressed in Roots of Brazil have taken on new forms and helped to construct some of the most lasting images of the country, such as the "cordial man," a central concept that expresses the Ibero-American cultural and political experience and constantly wavers between liberalism's claims to impersonality and deeply ingrained forms of personalism. Meira Monteiro examines in particular how "cordiality" reveals the everlasting conflation of the public and the private spheres in Brazil. Despite its ambivalent relationship to liberal democracy, Roots of Brazil may be seen as part of a Latin Americanist assertion of a shared continental experience, which today might extend to the idea of solidarity across the so-called Global South. Taking its cue from Buarque de Holanda, The Other Roots investigates the reasons why national discourses invariably come up short, and shows identity to be a poetic and political tool, revealing that any collectivity ultimately remains intact thanks to the multiple discourses that sustain it in fragile, problematic, and fascinating equilibrium.